"Family Guy" Seth MacFarlane will host the 85th annual Academy Awards this Sunday, February 24th at 7 p.m. ET. 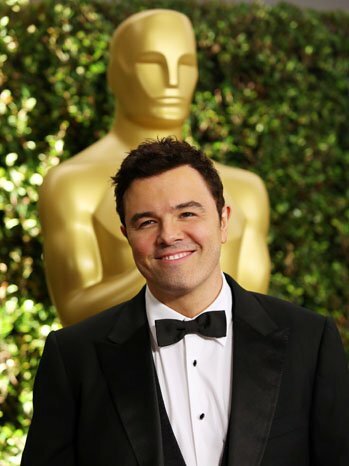 "Family Guy" creator Seth MacFarlane will host the 85th annual Academy Awards this Sunday, February 24 at 7 p.m. ET. For as long as I can remember, I&apos;ve watched the annual Oscars telecast with a giddy excitement akin to opening presents on Christmas Day. In fact, I can say with absolute confidence (and not one drop of shame, I might add) that Oscar Sunday is my Super Bowl. As a geeky kid already determined to become the next great film critic, I devoured every moment: the parade of impeccably-dressed directors, auteurs, studio heads and stars; the thrilling spectacle of an old Hollywood theatre, lit up by a stage of living legends passing the torch of classic cinema on to the next generation; and of course, the momentous anticipation of who would win a golden statuette and who would shockingly go home empty-handed. Almost two decades later, I still watch the Oscars with the same wide-eyed wonder and reverance for quality filmmaking that so captivated me as a child. I appreciate the Academy Awards because they continue to celebrate cinema as an art form, honoring true talent and innovation over silly tabloid fodder. This year, film students will be passing out the awards instead of models--a positive step in the right direction for a show that has often stooped to superficial celebrity worship in years past. Dedicated cinephiles like myself agree: the magic of the Oscars lies not in "who wore it best?" on the red carpet, but who made us laugh, cry and reexamine the depths of the human condition with the very best films of the year. Follow Leah on Twitter @leahkpickett, where she will certainly be live-tweeting the Oscars on February 24.